A slow release organic fertiliser which encourages root development. 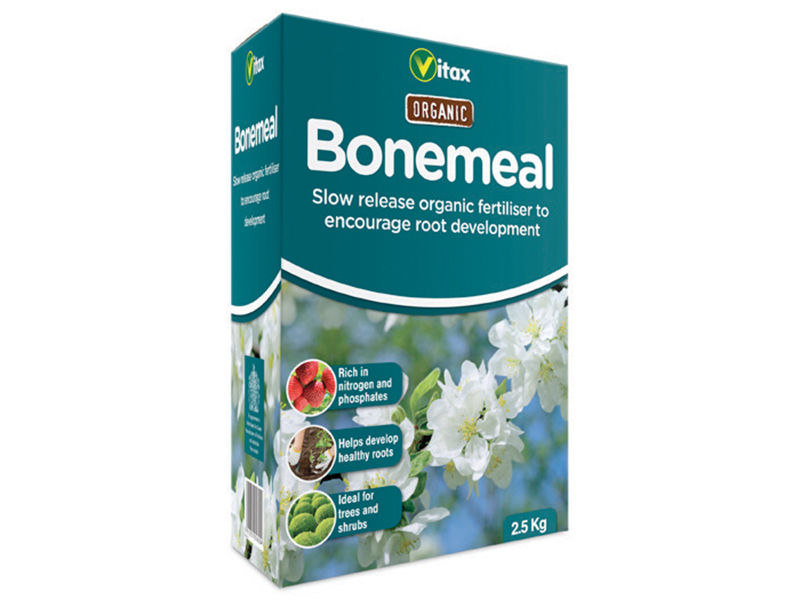 Vitax sterilised bonemeal is an organic fertiliser which provides both phosphates and nitrogen, two elements essential for healthy plant growth. This slow, steady release of nutrients over a long period makes Bonemeal an ideal fertiliser for bulbs and herbaceous plants, shrubs, roses, fruit trees and strawberries. Apply: as required during the growing season. Can be applied prior to sowing or planting. Can be applied as a top dressing for roses, border plants, fruit trees and bushes.